Let's face it, sometimes things just don’t go to plan in the outback. We‘d like to think that with good vehicle preparation a breakdown isn’t going to happen, but the reality is sometimes you just can’t help it. 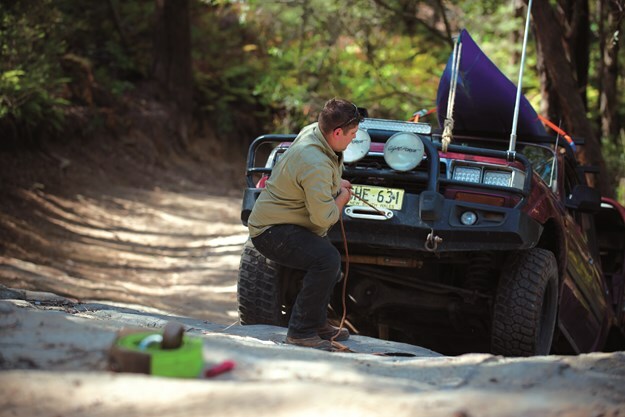 Imagine you’re stuck in the middle of nowhere with a 4WD that just won’t drive, or a camper that won’t tow. In most cases you would send or call for help, right? But what if that’s not an option? 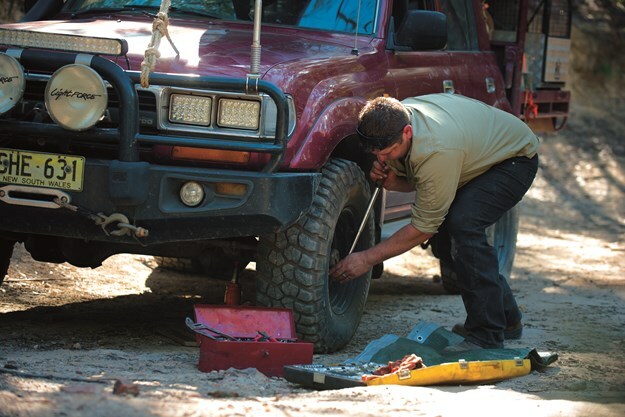 Would you have a crack at a smarty pants bush-mechanic fix, or stand out there for hours with your thumbs up? Now, there are a few things that can change the way you handle this type of situation, but truth be told, you’ve got to do a lot of things wrong if you end up having to go all Bear Grylls in a breakdown situation. So let's explore a few proven bush mechanic fixes, along with what to do if you can’t get back on track. Ok, so there are only really a few things that will render a camper trailer un-towable. The main one being a buggered wheel bearing. Even with a spare set of bearings, a badly damaged hub assembly can be near on impossible to repair out in the field. So what can you do? Well, as a last resort used only to get you to a main road, you could devise a makeshift sled for the camper’s wheel to sit on, which would allow you to drag the camper without damaging it. Old car panels and well-shaped logs will do the trick; just remember to tie it to the camper properly so it doesn’t slip out. A damaged hitch or coupling is another common problem to come across. But it’s usually as easy as dragging it by the safety tow chains, which usually only requires a bit of shortening. 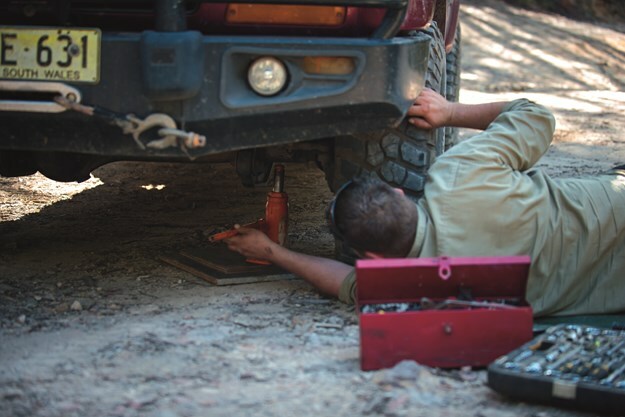 Corrugation and weight can cause a solid beam axle to snap like a pretzel in the wrong circumstances, which means there’s nothing to support the camper’s weight and keep the wheels located in the right position. Believe it or not, it’s a fairly easy fix. You’ll need to brace and support the axle with another solid beam sich as a solid timber fence paling, star picket or log. Simply run it up against the bent axle and secure it in place with ratchet straps and fencing wire. Heck, a bit of seat belt strapping will do the job if you’re desperate enough. A similar method could be used to support a buggered drawbar, too. Overheating the batteries could cause them to explode. One battery alone will not supply the power required for this technique. All batteries should be fully charged and rated at 700CCA or above. This method will discharge the batteries within a few minutes of continuous use, so make it count! 1/8in (6011) welding rods generally work best for this voltage and current. 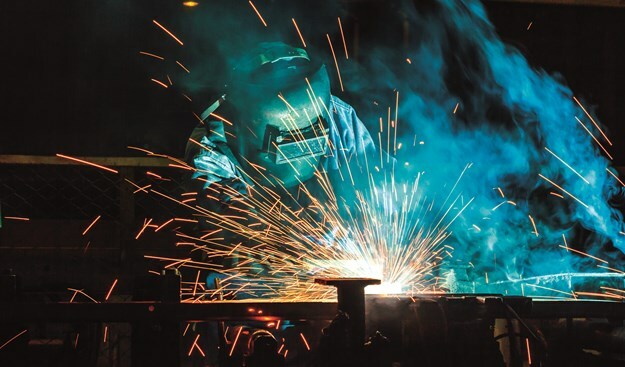 Always ensure you carry and use safety gear (gloves and welding mask at a minimum). If you don’t have any welding rods, a few spare silver coins have been known to get the job done...roughly! There’s not much you can’t fix on a camper trailer with a welder, so here’s a brilliant last resort option for trackside welding using your 4WDs batteries. 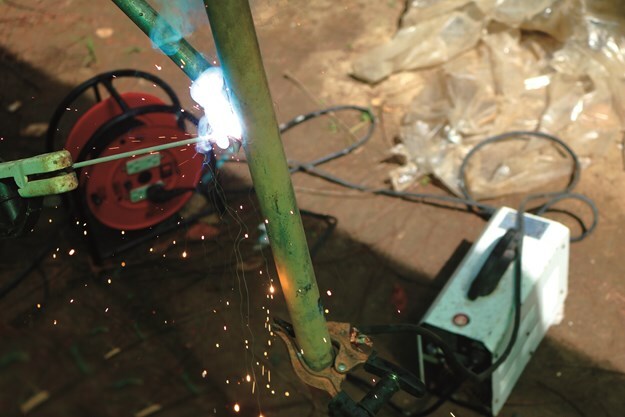 The idea is pretty simple but some welding experience is definitely an advantage. Start by hooking two to three batteries up in series. That means linking the positive terminal of one battery to the negative terminal on the next battery using a jumper lead cable (or similar). Continue the same procedure if adding a third battery, but remember, you’ve now got between 24-36V, which is nothing to sneeze at. Then run a separate jumper lead from the unoccupied positive terminal of the battery to the metal you’re about to weld. Before connecting the negative battery terminal up, you’re better off setting up your welding rod so no accidental contact is made. 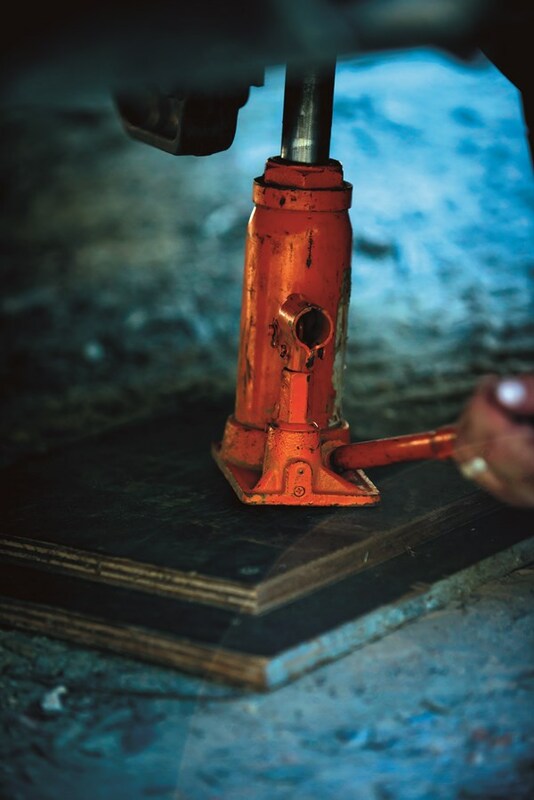 You’ll need to secure the welding rod to the jumper lead clamp nice and tight, so you can either use a pair of vice grips or file out a groove for the welding stick to sit in snugly. Then it’s as simple as connecting the jumper lead to the negative terminal on the battery and starting the weld. 1. SQUASHED EXHAUST: The last loud bang you heard underneath your 4WD could well have been your exhaust. So, make sure it’s not squashed and blocked, which could cause problems such as a lack of power. 2. SCRAPPING BRAKE SHOES: After clawing your way through a couple of creek crossings, it’s fairly common for rocks to get caught up between the brake linings and brake drum. 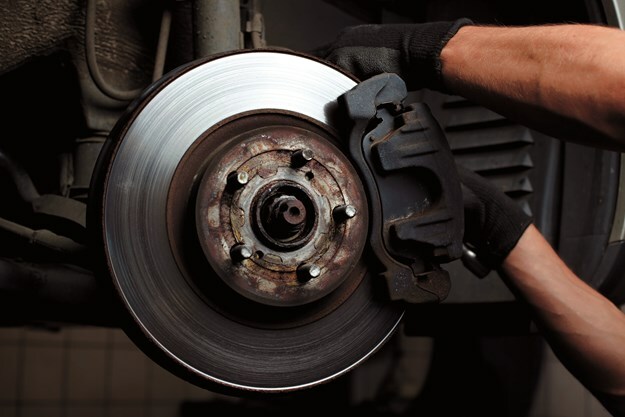 So, if you hear a squealing noise from your brakes, there’s a good chance that’s the problem. It’s a good idea to clean the rocks out before they damage the brake linings, too. 3. DROWNED DISTRIBUTER: Petrol engines can begin to cough and splutter after bonnet-deep water crossings. If this is the case, pop the distributer cap off and see if any water has made its way inside. Also check the high tension leads and coil plugs while you’re there. Your typical alternator usually pumps out between 13.5V-14.5V with the engine running to charge your vehicle's battery. If it’s not charging, for us 4WDers it’s usually due to mud and ingress clogging the internal brushes of the alternator, so give it a thorough wash with clean water and see if it kicks back into life. But if the alternator is truly buggered, there’s a limited window before the battery discharges completely and your vehicle won’t start or run. So, conserve power by turning all of your accessories off (lights, radio etc). 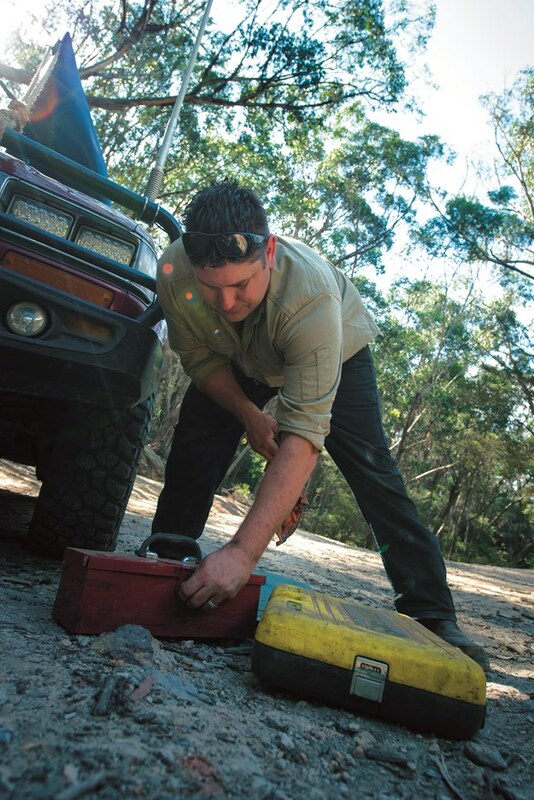 Remember, most camper trailers have batteries these days, so you can swap it with your 4WD’s to get back on the road. If you’ve got solar panels, they can pump a bit of charge in to help out, too. Here’s a cool trick; you could try using a 12V drill to spin the alternator's pulley over manually. You never know, it may charge the battery just enough to kick the engine over. 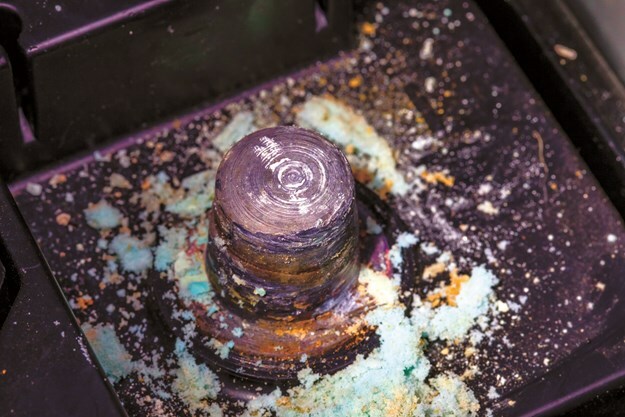 Loose or corroded battery terminals are the leading causes of electrical problems out in the scrub. They can be responsible for things like the engine not starting, warning lights flickering on and off, and even the cause of fires. For loose battery terminals, obviously you’ll need to tighten them up. But sometimes the terminal clamp becomes too big. For this, you’ll need to shim the gap between the battery terminal and the clamp to tighten it up. A great little trick is to cut up an old Coke can and wrap it around the terminal before fitting the clamp back on. You could even wedge a self-tapping screw between the two, too. If your starter motor is buggered, and it’s a manual vehicle, the most common method to get the engine started is to clutch-start it. But if it’s an automatic transmission, it’s a little trickier. Now, if the starter motor is clicking but not firing, the starter solenoid is likely to be stuck or the battery is dead. Try tapping the solenoid (on top of the starter motor) with a metal rod while your “apprentice” tries starting the vehicle. It’s also common for the starter motor to get too hot and play up, so let it cool down and try again a bit later. If you suspect there’s a problem with the starter motor wiring somewhere, you can use a set of jumper leads to bypass the original wiring to activate the starter motor manually. Start by connecting a jumper cable between the battery's positive terminal to the large positive terminal on the starter motor solenoid. Then, with the vehicle in neutral, use a wire or screwdriver to jump power from the solenoid's main positive terminal to the smaller ignition positive terminal to actuate the solenoid until the vehicle starts. Once again, this is a last resort, and should be avoided when possible, especially on modern vehicles. THE GOLDEN RULE – ALWAYS STAY WITH YOUR VEHICLE! If you do happen to get stranded in a remote location, the worst thing you can do is stray too far from your vehicle. Think about it, your vehicle has resources. Even if you don’t have your camper trailer or half of your gear it can still provide shelter, protection from the elements, a means to start a fire and a million other recourses you can use. Then there’s the fact that cars are much bigger than people, so they are a heck of a lot easier for rescuers to see from an aeroplane, helicopter or from a greater distance away. Plus, the first place a search party will look is on designated roads or tracks and the odds of running into another traveller are right up there, too.